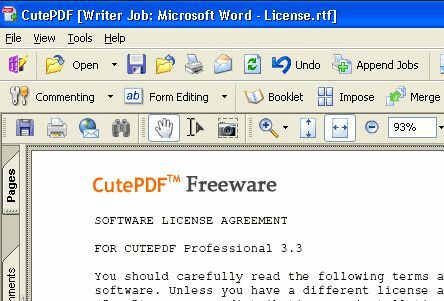 Below we've compiled a list of ten free PDF Creator tools for Windows XP, as well as Windows 7,8,10 and Vista. Our list includes PDFelement Pro, which is a PDF tool we highly recommend. Feel free to read through our list and choose the program that best suits your needs. 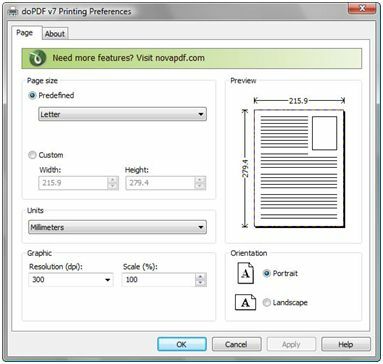 PDFelement ProPDFelement Pro makes PDF creation and editing an easy task. The application allows you to convert Word, Excel, PPT and other file formats into PDF. To use this Windows PDF creator, you can conveniently batch convert multiple files into one PDF. This software comes with capabilities that let you edit your PDF documents as easily as you would in a word processor. You can also mark-up and annotate PDF files, or even convert PDF to Word, Excel, PPT, Text and Images like JPG, PNG, TIFF and more. Easily create PDF from HTML, Webpage, Text files and more. Edit PDF text, images, links, and other elements as needed. Convert PDF to Word, Excel, and EPUB while retaining the original layout. Annotate and markup PDFs with diversified PDF markup tools. Fill out and easily change data in PDF forms. Manage, protect and share your PDF files with ease. 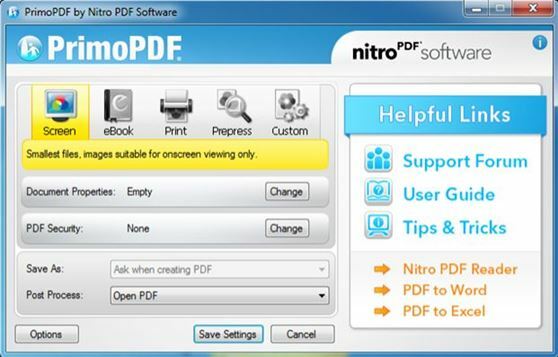 PrimoPDF is a PDF creator program that works smoothly with Windows operating systems. This free PDF maker is rather quick and easy with the drag and drop feature that creates perfectly standardized PDF documents. You can secure your PDF files. The file conversion is simple with no reduction in quality. Sometimes the graphics will be reformatted. It is very simple and riddled with advertisements for other software. With PDF24, Windows users can breathe easily since it lets you create a PDF file out of any application that comes with the print option. It supports the conversion of common file types, including images, into PDF format. It lets users protect their PDF files with passwords. It gives the users the upper hand in controlling the size and quality of PDF files. It can include unnecessary malware. The interface to delete, add or rearrange pages is not clear. 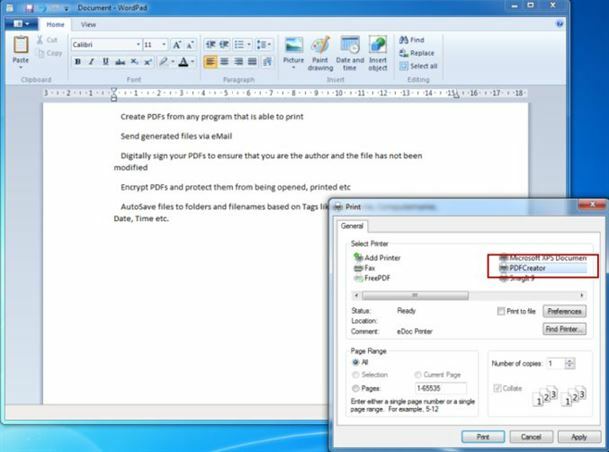 The BullZip PDF Printer functions in the capacity of a printer for Microsoft Windows. It facilitates users to make PDF documents from any MS Windows application. This free PDF creator supports different file formats for PDF conversion like JPEG, PDF, PCX, BMP, TIFF and PNG. It can watermark PDF files and rotate PDF pages. It includes quality settings for printer, screen, eBook and prepress. It can cause functional glitches occasionally. It automatically installs certain add-ons to your browser that sometimes include malware. CutePDF Writer is a virtual PDF printer application that creates PDF files. After installation, it automatically integrates itself within your 'Printers' folders. Its installation process is quick and it functions as a virtual printer. Makes PDF files pretty fast. The free version of the application has very limited options. The control panel layout can confuse users. PDF reDirect is a simple free PDF creator that is compatible with Windows. 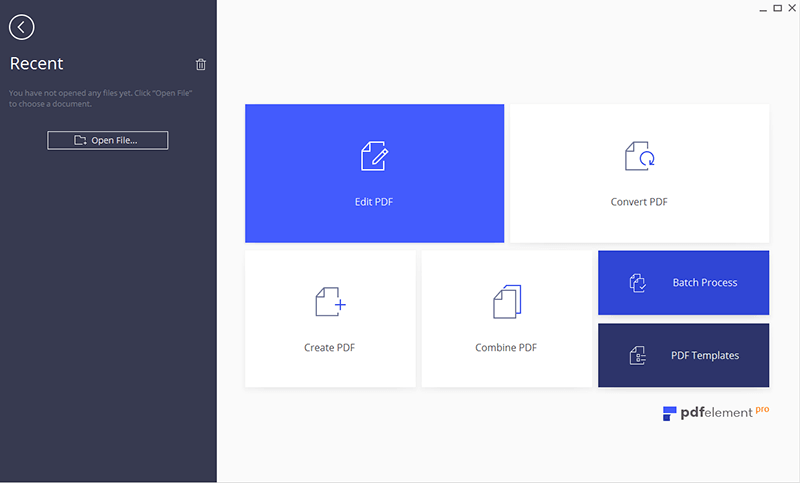 It lets users combine and rotate multiple PDF files to create new PDFs. The hassle of creating bigger PDFs by merging smaller ones is solved with this software. Permits multiple PDFs to be merged at once. The newly created PDF can be encrypted. It does not allow for splitting of PDFs. New PDF files cannot be created from images or text files. doPDF is an effective PDF creation software. It creates PDFs based on the printing option of any application. It can convert a range of files into PDF such as DOC, TXT, PPT, XLS, PUB, DOCX, PPTX, XLSX, PUBX, HTML etc. The interface is available in 33 different languages. It is easy-to-use from any editing platform. It may install additional software automatically on your system. Options of conversion are not found on the main interface of the program. PDFCreator is an application that creates PDF documents. The software that acts like a visual printing tool of PDFs has the ability to secure your PDF documents. It supports many file formats for PDF conversion. It can protect PDF documents with password-encryption. It can help create graphic files. The free software is only for personal and non-commercial use. PDFs are watermarked with a "PDF Creator - PDF4Free v3.01" tag. 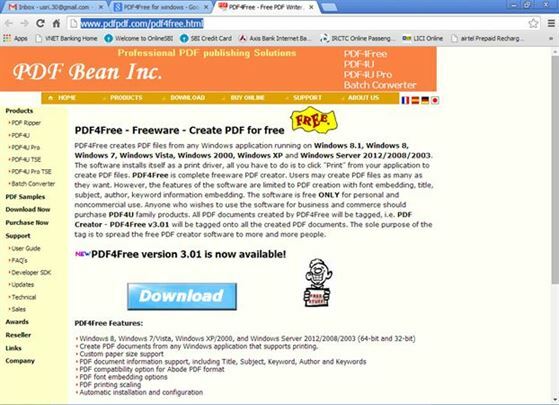 PDF4Free is a software that specifically assists Windows users to make PDF files for free. The application attaches itself as a ‘print driver' to your system. It consists of options for font embedding. It has options for scaling of PDF printing. The free software is there only for personal and non-commercial use. The PDFs are watermarked with a "PDF Creator - PDF4Free v3.01" tag. 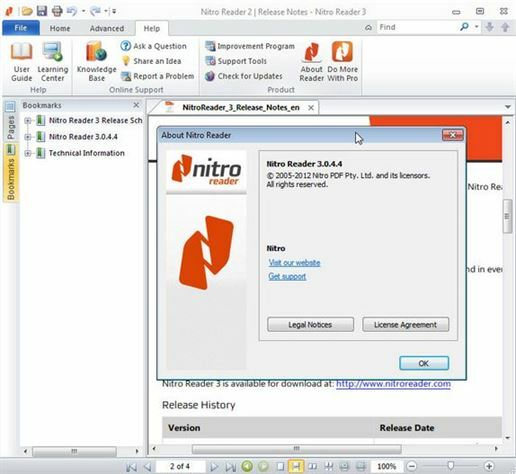 The Nitro Reader application works as a typical PDF Reader and PDF creator for Windows. It allows users to make PDF files from over 300 different file types, as well as lets you password encrypt your created PDFs. Users can share the PDFs with anyone via this application. Uses drag-and-drop to easily create PDFs. Cannot convert PDF to eBook formats. It can be slow while processing PDF conversions. Adobe Acrobat Convert Word to PDF Not Working? Fixed!